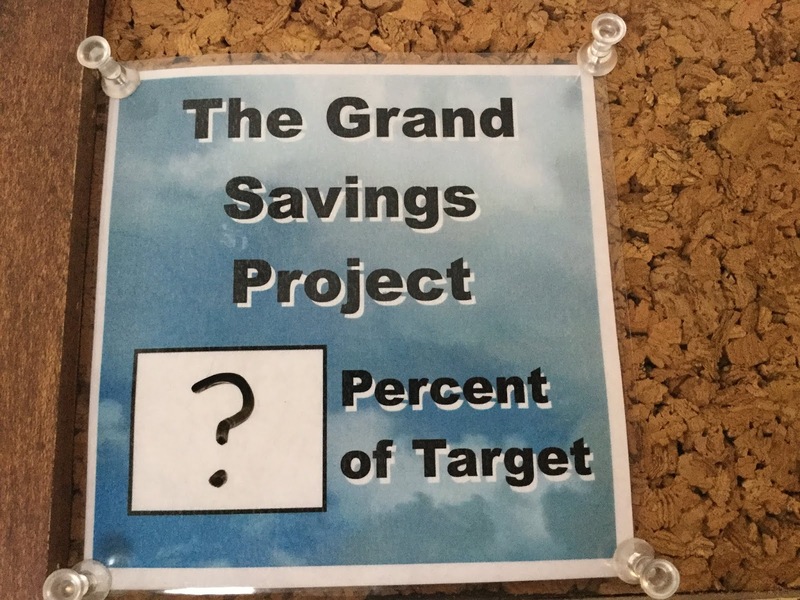 That is 18.2% (of my Savings Target). 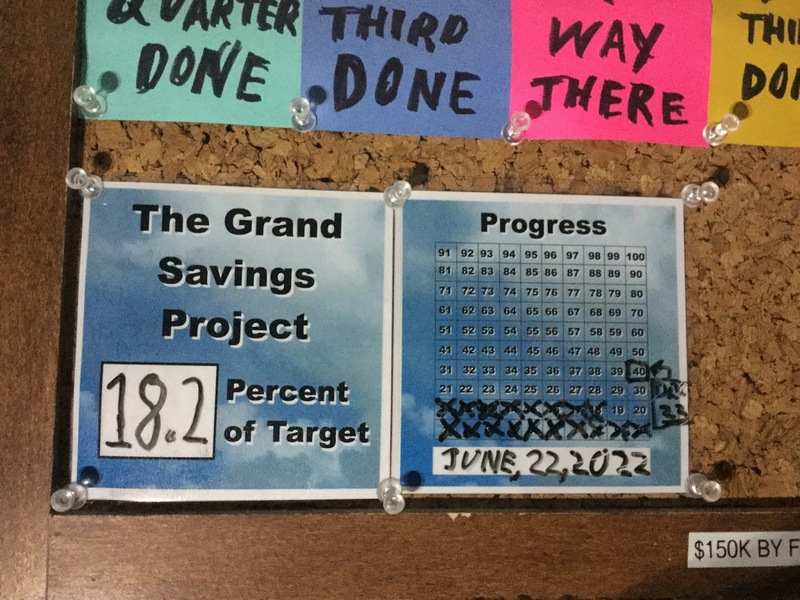 That’s right things jumped up to 18.0% of my savings target. 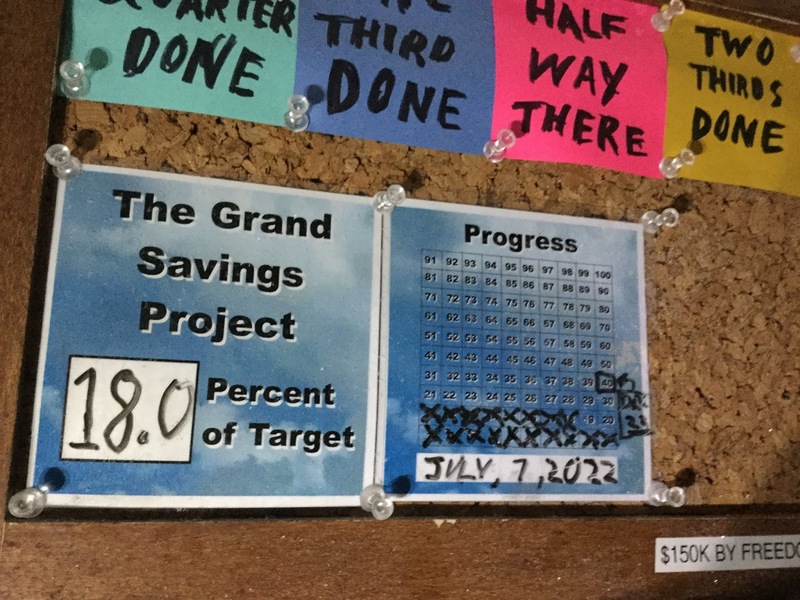 That means I put away -.2% of my total Savings Target this payday. 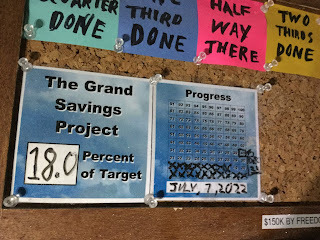 That means that I actually went backward by .2% of my savings total . . . what gives? What was even worse was that my “Estimated done Payday” was shoved forward to July 7, 2022. Once again, the question is . . . why? The answer is not all that exciting or fantastic, nor does it involve a grand story of colourful and wondrous shenanigans. It is that time of year again when I have to put something into my RRSP. So I did put something into savings, it was just savings of a different kind. The Grand Savings Plan only covers funds in my savings accounts (as in accounts that I can actually draw cash out of when and if want). So, RRSP’s do not count as once the cash goes in there, primary control over it is handed to the government. (And I need my cash now, or rather in starting in four years time). Anyways, I will get back on track with my Grand Savings Plan next payday and I am still laser focused to get to 40% buy the end of this year. 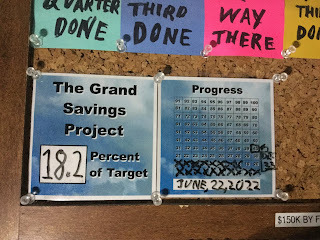 A grand goal indeed sine I am only at 18.0%. I will get there, for I have faith in myself and confidence in my abilities. I also know that there will be times that I have to spend cash on things that need to be taken care of. On cannot save all the time (despite how much I really try).